In the current climate of feminist policing and authorizing, in which we see women coming at each other's throats for not being "feminist enough," it seems timely for a film to retrace the ideology back to its most prescient, when it was still discovering its identity among many different voices struggling to find their places in the world. That's exactly what 20TH CENTURY WOMEN does. Set in the late 1970s in Southern California, three different women with varying feminist ideals bond at a time when they are each at a crossroads. 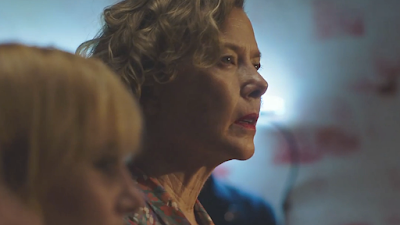 Dorothea (Annette Bening) is a middle-aged single mother in a rapidly changing world and trying to raise her teenage son (Lucas Jade Zumann) who's becoming more of a stranger to her each day. Julie (Elle Fanning) is what you may call a sexual liberalist, using her sexual prowess to navigate a world she's constantly curating. Abbie (Greta Gerwig) is a quirky feminist trying to change a world that's not yet ready for women's freedom of speech. While these characters are interesting in their own right (especially Dorothea, who's feminist by default--not someone who preaches any specific ideals but whose very lifestyle is a form of liberation), it is Jamie (Zumann), the young male figure absorbing a clash of ideals while his own struggle to take shape. We finally have a good film that explores what it looks like to raise a male feminist, particularly during this crucial era. More importantly, we finally have a film that actually cares to do so (shout out to writer/director Mike Mills). Realizing that her son may need some guidance she is unsure how to provide, Dorothea encourages Jamie to befriend handyman William (Billy Crudup). But it is Abbie and Julie with whom he becomes fascinated. Abbie's openness and ability to see Jamie beyond his age excites him and motivates him to consider women in a way he hadn't before. While Abbie freely discusses her period, women's equality, and teaches Jamie about the importance of understanding female orgasms, Dorothea is a more textbook parent tries to get to know him for the man he's becoming. In doing so, Dorothea is compelled to confront the society in which she's living. Through her friendships with Abbie and Julie, both younger women, and her complicated relationship with her son born generations behind her, she is forced to reflect on her own nontraditional path and the sadness she didn't know she felt. One of the best lines in the film, brilliantly uttered by Bening, captures this sentiment thoroughly: "It hurts to be alive and obsolete"
While it's great to experience the amazing performance by Bening and the transformative performance by Gerwig (who's really impressing me this year, finally, with this and Jackie) and the refreshing narrative, I can't help but interrogate Hollywood for yet again presenting a feminist narrative without a single woman of color. Even if she was a character who was not connected to these three women but represented in the theme of the movie, it would have been at least an acknowledgement of the fact that 20th century white women weren't the only ones making waves in the feminist movement. Let's work on that, Hollywood. 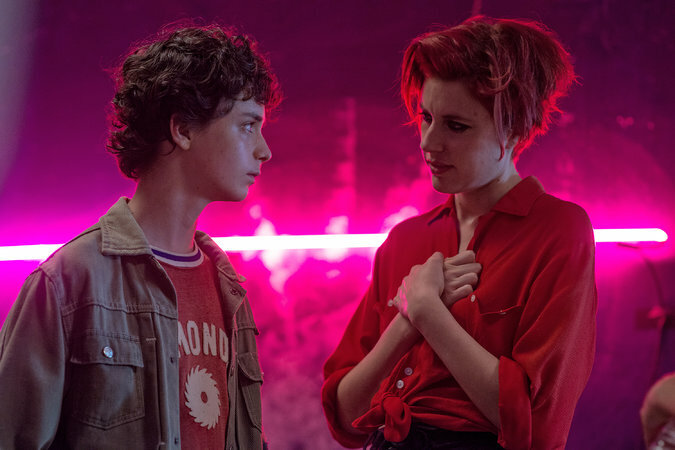 Until then, 20TH CENTURY WOMEN sits pretty on its privileged pedestal, wonderfully highlighting a multitude of truths with which too many of us take issue: single parenthood, ageism, women's rights, women's sexuality, and male feminism. That in itself is worth the price of admission. 20TH CENTURY WOMEN is in theaters December 25. I've got this saved in my Netflix queue for whenever it comes out on DVD. I'm all for Gerwig playing someone less...Gerwiggy.